NEW! North Carolina State University (NCSU) Hands-On Spray School and Live Learning Course: Taking place Jan. 29 at the NCSU Structural Pest Management Training Facility in Raleigh, N.C., this four-hour, hands-on training session for pest management managers and technicians will focus on proper equipment handling, calibration and repair, and how to ensure accurate pesticide application rates and techniques. This is the only course offered at an off-site location during the PCT School, and is capped at 100 participants. NEW! National Wildlife Control Operators Association (NWCOA) Bat Standards Course: This is the first eight-hour wildlife course offered at the PCT School and is designed to provide a comprehensive educational opportunity to earn credits while learning the latest in control techniques. The course is offered by NWCOA to aid in the survival and future of bats in the North America, as well as to educate those who perform bat exclusion services in residential and commercial structures. Insect Specimen Identification Course: This is a special supplement, taking place Jan. 31, to the PCT School courses. The program will cover key morphological characteristics used to identify a variety of both P-phase and W-phase pests. Space is limited. BedBug Central Bootcamp: This is a full-day bed bug training course, taking place Jan. 31, that will cover both the technical and business aspects of treating and selling bed bug treatments. The course is taught by representatives from BedBug Central. “We know that our members look forward to the PCT School every year for its outstanding speakers and training courses, and this year we have expanded the hands-on training courses for our attendees to provide even more opportunities for enrichment and advancement,” says NCPMA President Bruce Roberts. The 2019 NCPMA PCT School will be held Jan. 27-31, 2019 at the Sheraton Imperial Hotel and Convention Center in Durham. 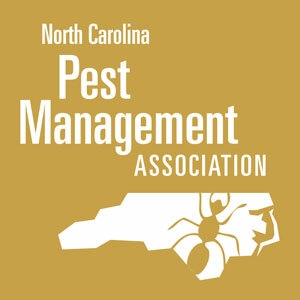 Registration is required for each of these courses, and can be done online at NCPestManagement.org.